I am an unabashed lover of horror films. So when my wife was asleep at 10:30 and I was rather bored, I fired up my HBO GO and, lo behold, Friday the 13th Part 2 was queued up. Why hello there, Jason Voorhees and Camp Crystal Lake madness! However, about 20 minutes in, I was already mentally checking out – which was shocking, because this was one of my favorite movies. What gives? 1. Horror movies are all about unlimited potential. Remember going to the local video store (R.I.P.) as a kid and seeing a rated R VHS horror movie on the rack? Maybe the cover had a man wearing a hockey mask and wielding a machete, bathed in moonlight. There might be some awesome tagline – “Just when you thought it was safe to go back to camp” – you just needed to rent this movie. But of course, you were 10 years old and your parents said, “Over my dead body we are renting that!” (Sidenote: Never, ever mutter those words in a horror movie). But that VHS case was calling your name from the rack – it was so mysterious, forbidden even. Getting older and access to video-on-demand has kind of taken the thrill out of discovering movies – but do you remember those emotions from when you were younger? These are the same emotions we wish to elicit in our students – we need them to crave learning and knowledge. We wish to empower them to chase that sense of discovery. Students need to see the unlimited potential in what they are studying (and themselves! ), and not simply be handed the answers video-on-demand style. I write somewhat extensively about using mystery and wonder in teaching in this post – but in general, send kids on the discovery to learning. Teach digital literacy skills and website evaluation – part of the thrill of learning is not arriving at the destination, but engaging in the thrill of pursuit. Imagine how boring the Indiana Jones movies would be if they just handed him the treasure. 2. Horror films are communal. In college I watched horror movies with my buddies all the time. We’d laugh at the cheesy dialogue and cheer for the inventive kills – 80s horror movies in particular are a great time. So when I was watching Friday the 13th Part 2 alone in my living room at 10:30 at night, it kind of sapped the fun out of the activity. I wished my buddies were there laughing along with me. * Learning should be as communal as watching a horror flick – we need to facilitate learning in such a way that students are contributing to a group. Student blogging and Google Apps are a great place to start – students can authentically write to each other and members of the community, work together on a Google Presentation, contribute to a classroom set of collaborative notes**, create tutorial videos for each other – the key is communal learning, like communally watching a movie. It’s why those midnight showings of movies like the The Avengers or Star Wars are such awesome fun- the feelings of excitement in the theater are palpable, because it’s a shared experience. So next time I’m planning a lesson, I know I’ll be thinking about what it was like to be a kid at a video store, gaping at the cover of a forbidden slasher flick. 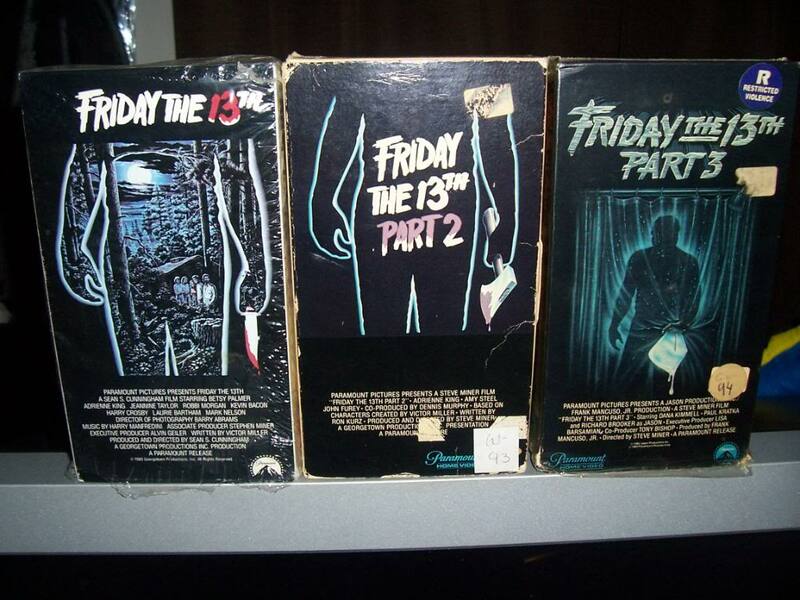 That wonder and curiosity was even better than the movie itself, because at the moment there was unlimited potential – and if we managed to courageously sneak a copy of Friday the 13th Part 2 into a sleepover? That was communal awesomeness. *Do they have TVs with Skype built in, so I can watch a movie with someone far away, see them and hear them WHILE the movie is playing? If so, I want one. **Read Alan November’s Digital Learning Farm – it is all about revolutionizing your classroom into a commune of learning.